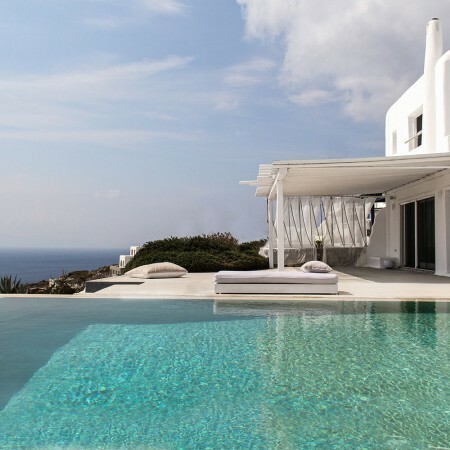 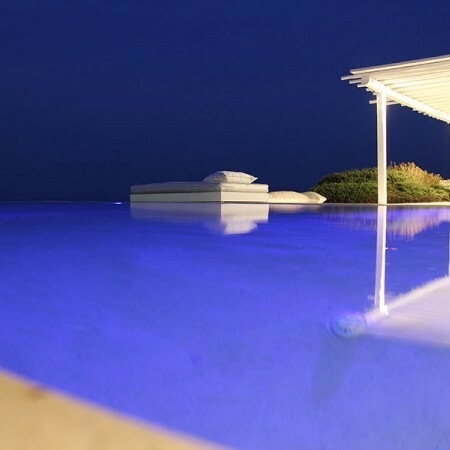 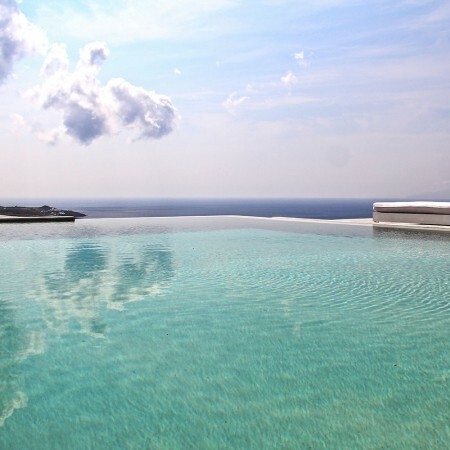 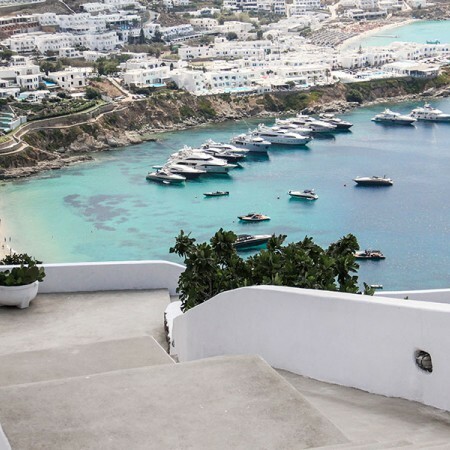 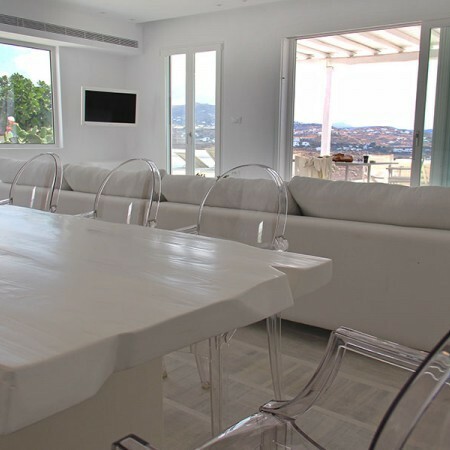 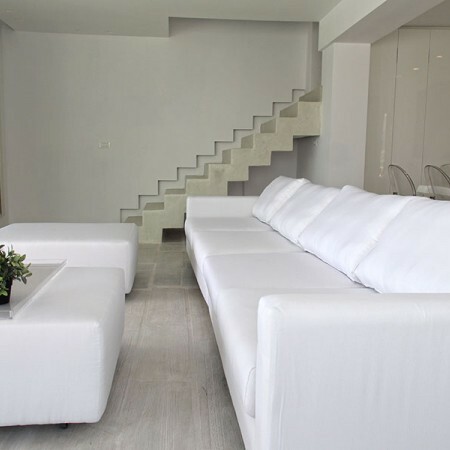 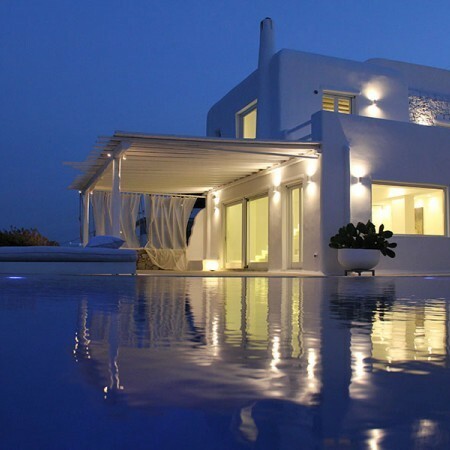 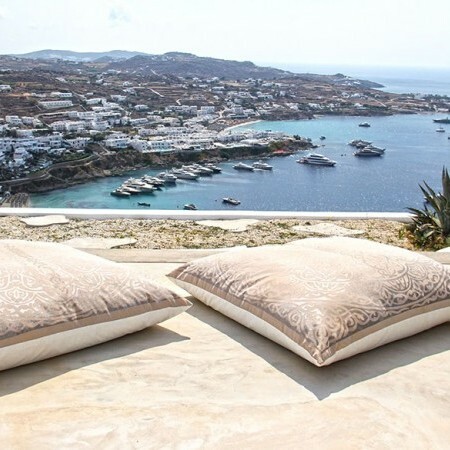 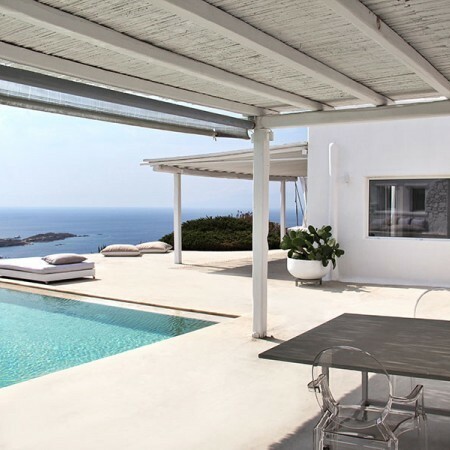 Villa Manon is located in the strictly residential and posh area Agios Lazaros, one of the most exclusive areas of Mykonos, with breathtaking views. 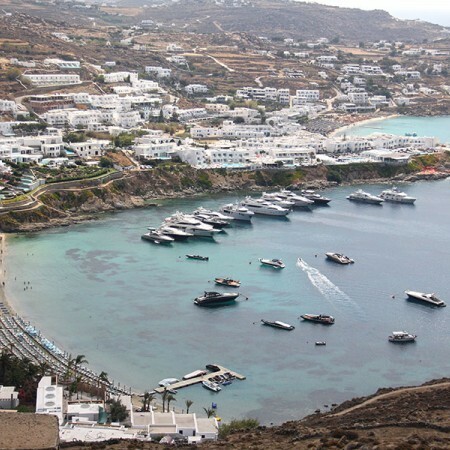 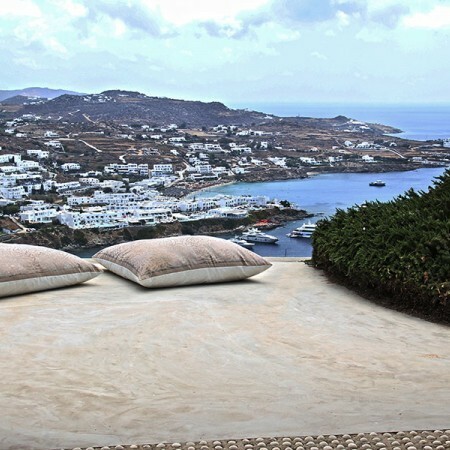 It is located in the southeast part of Mykonos Island just above Psarou Beach and the famous Nammos beach Restaurant. 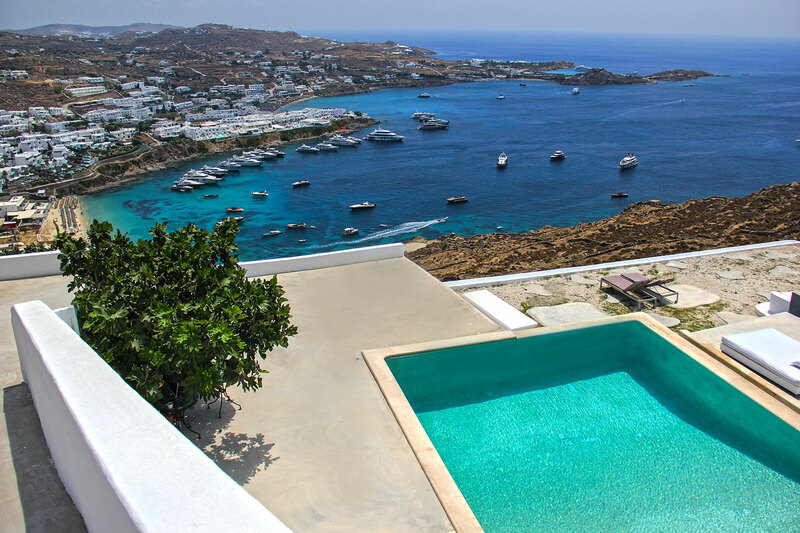 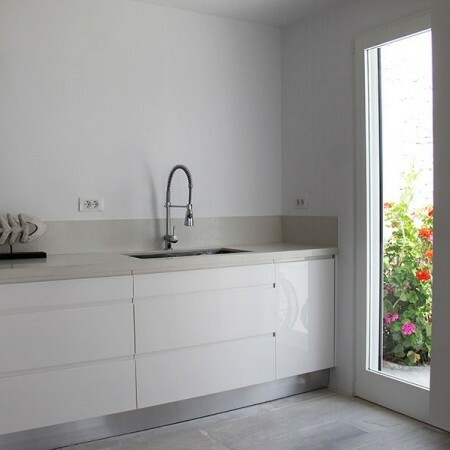 Built on a terraced hillside and consisting of the main villa, an independent guest studio and a garden guest house, Villa Manon enjoys a splendid view of Platys Gialos Bay, the famous, trendy beach of Psarou and the Aegean Sea and Islands in the distance. 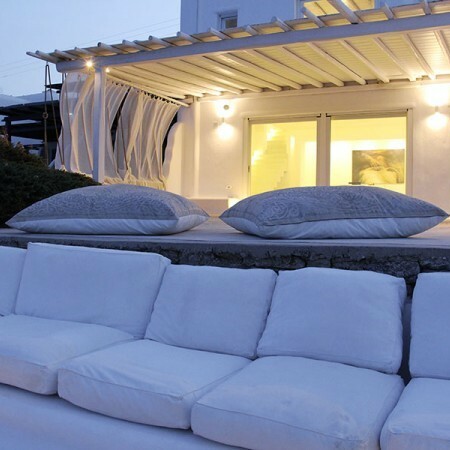 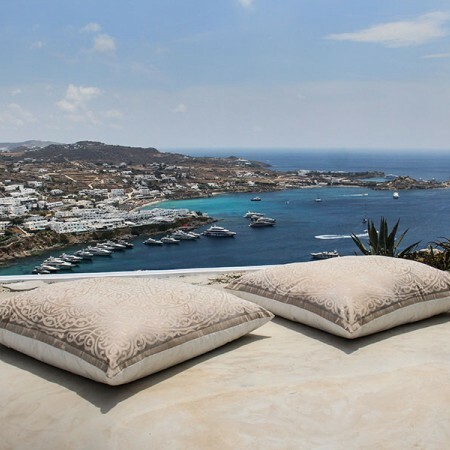 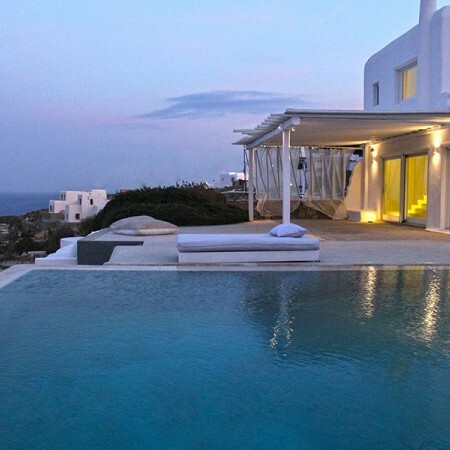 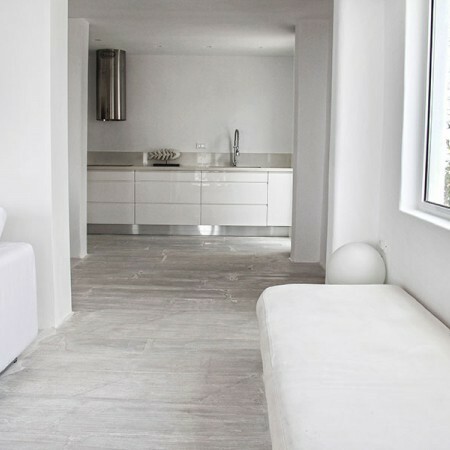 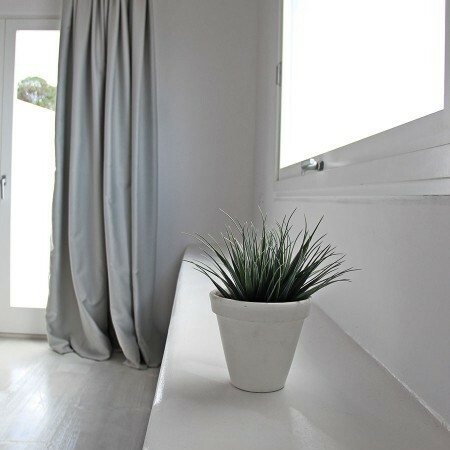 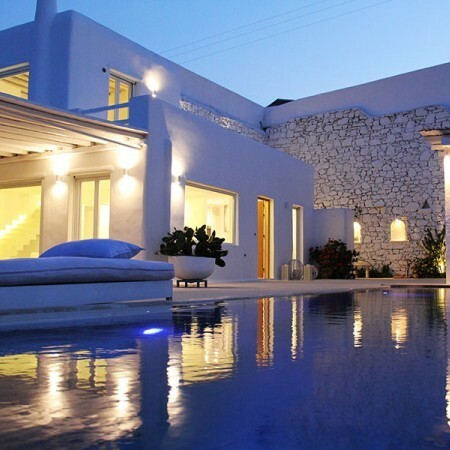 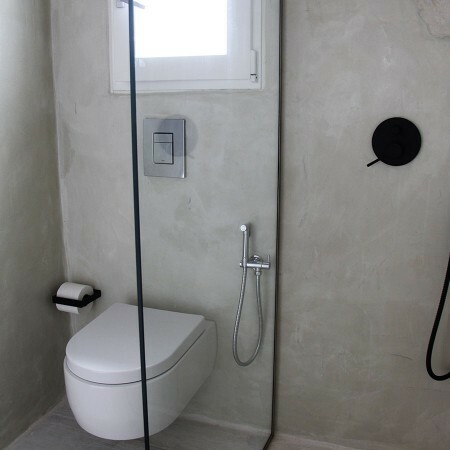 Upon entry to this Mykonos villas one finds the guest house composed of one bedroom en-suite with queen size bed. 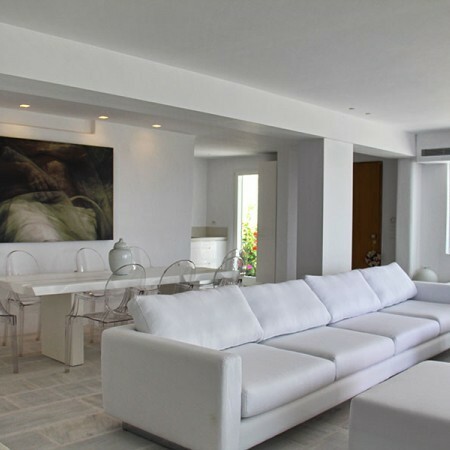 A cozy living room exists to the pool terrace and the various sitting and dining areas. 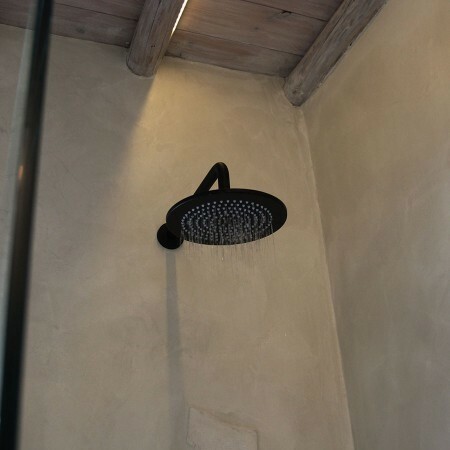 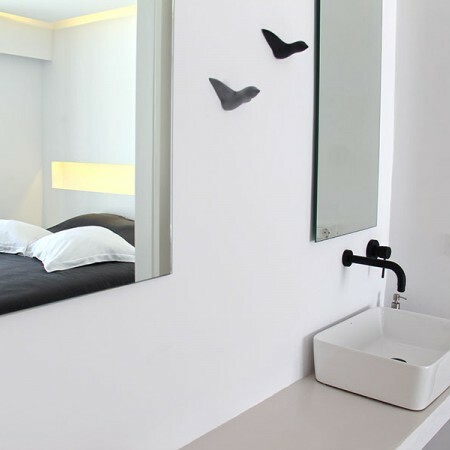 The guest house accommodates 2-4 adults. 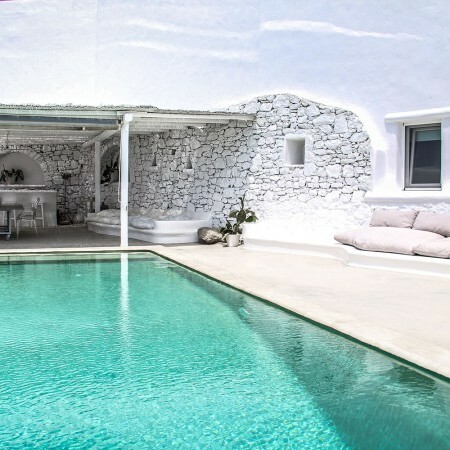 Across this Mykonos villa pool terrace and the shaded outdoor dining area, guests are welcomed into the main villa, with a cozy yet spacious living room and the open-plan kitchen that together with the auxiliary bathroom are situated on this level. 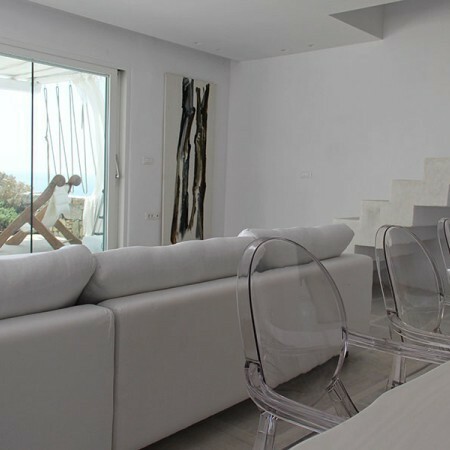 The living room exits to a veranda with an additional dining/lounging area that can comfortably accommodate additionally up to 15 guests. 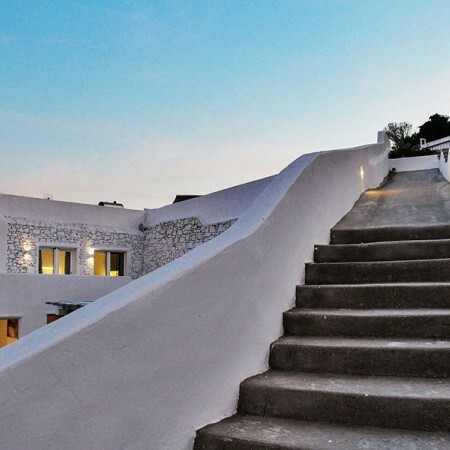 A staircase leads up to the bedroom level of the main villa, where the two spacious bedrooms with king size beds are located. 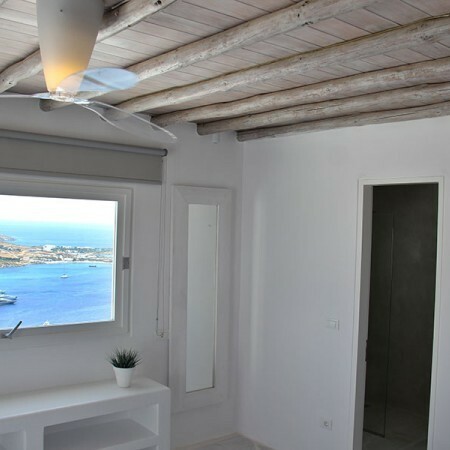 The master bedroom being en-suite while the other, overlooking the big blue, has a separate bathroom. 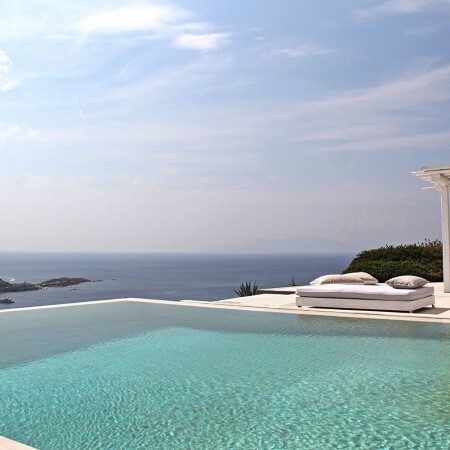 Both rooms exit to a veranda that offers a splendid view of the Aegean Sea and Islands at a distance. 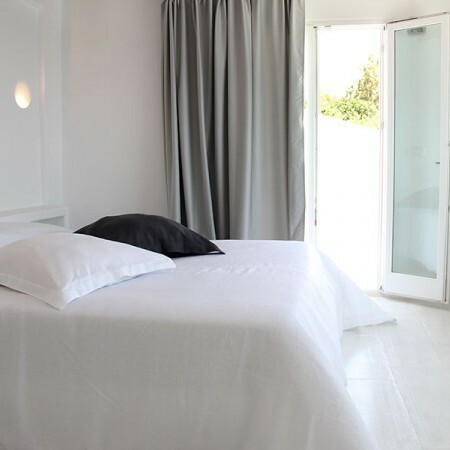 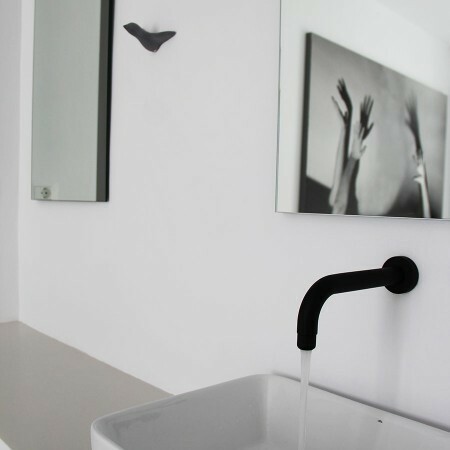 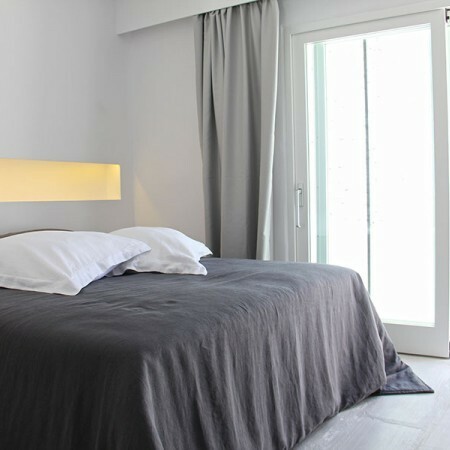 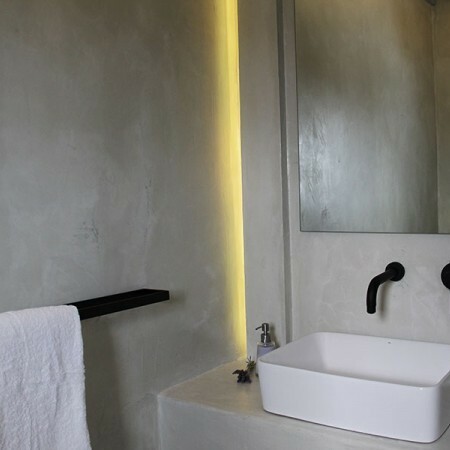 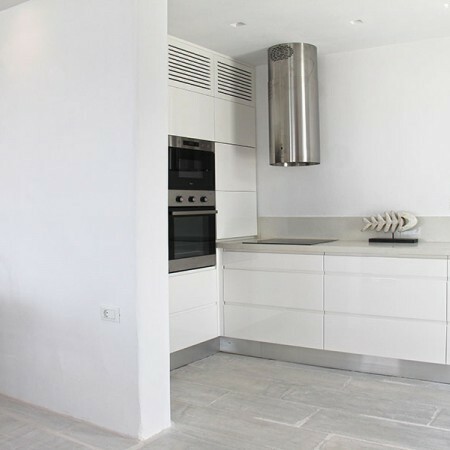 Adjacent to the main villa and with an exit to the pool terrace is an independent guest studio en-suite. 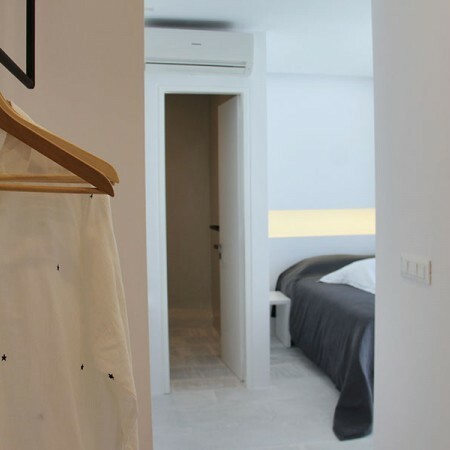 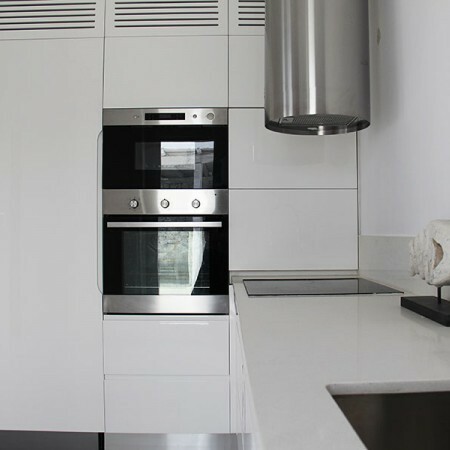 Having a double bed and two built-in sofa beds, makes this studio suitable for a couple with 2 children or 4 adults. 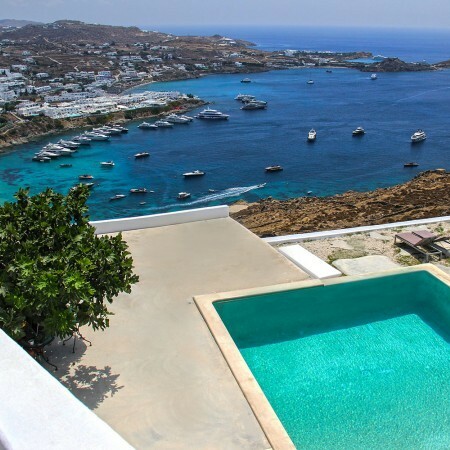 Villa Manon’s proximity to the vibrant town of Mykonos, Psarou and Nammos beach bar-restaurant, Platys Gialos with its shopping facilities and small, busy port is the main point of departure of the traditional “kaiki” boats that transport sun loving beach goers to the most popular and hopping beaches along the southern coast of the island, as well as, to the more traditional Ornos.